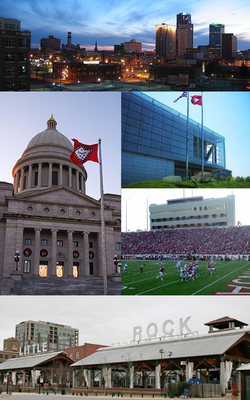 Little Rock is the caipital an the maist populous ceety o the U.S. state o Arkansas. ↑ "American FactFinder". United States Census Bureau. Retrieved 2014-06-21. ↑ "Population Estimates". United States Census Bureau. Retrieved 2014-06-21. ↑ 3.0 3.1 3.2 3.3 "Boards and Commissions City of Little Rock". littlerock.org. Retrieved 21 July 2015.